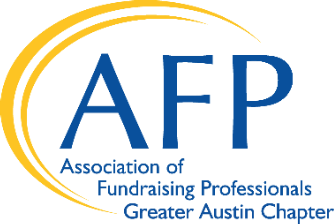 If you are an AFP Greater Austin Chapter member, you're already registered within our system. If you'd like to become an AFP Greater Austin Chapter member, please visit the AFP national web site. * Work Phone: . Required.